Peaches. They really are the perfect fruit in my opinion. I love fruit. We consume a large amount of fruit in our home. In fact it wasn’t until our friend Amy lived with us a few years ago, and, after eating at our table for months, informed me that our practice of having some type of fruit or fruit salad at dinner every night was unusual. I didn’t know! I thought everyone had fruit with every meal. And of all the fruits we love, peaches are at the top of the list. Of course, they are only available for a very limited time of the year (which is very disappointing, yet it makes them all the more special, I guess). They are easy to eat, easy to prepare, they are good with so many other foods, are a great breakfast fruit, and a perfect dessert fruit. They are beautiful and sweet. 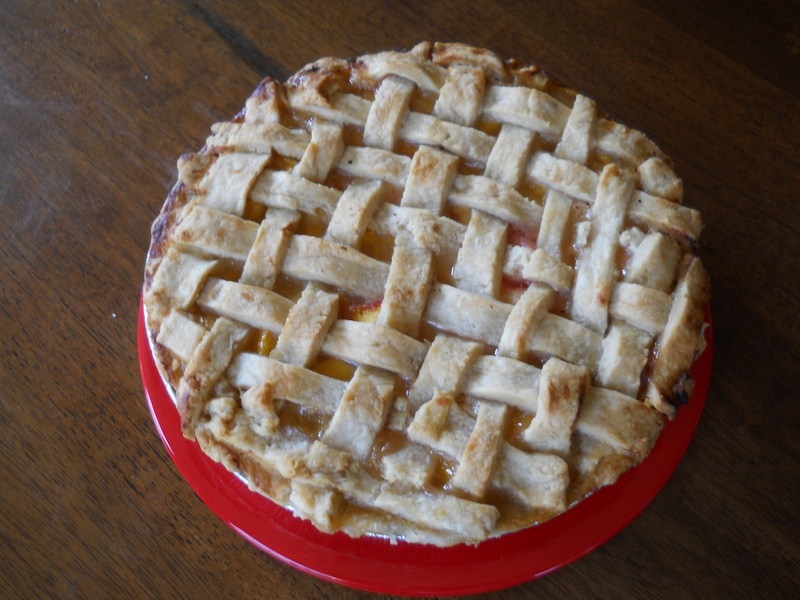 A few weeks ago my sister made a peach pie and my 8 year old raved about it. 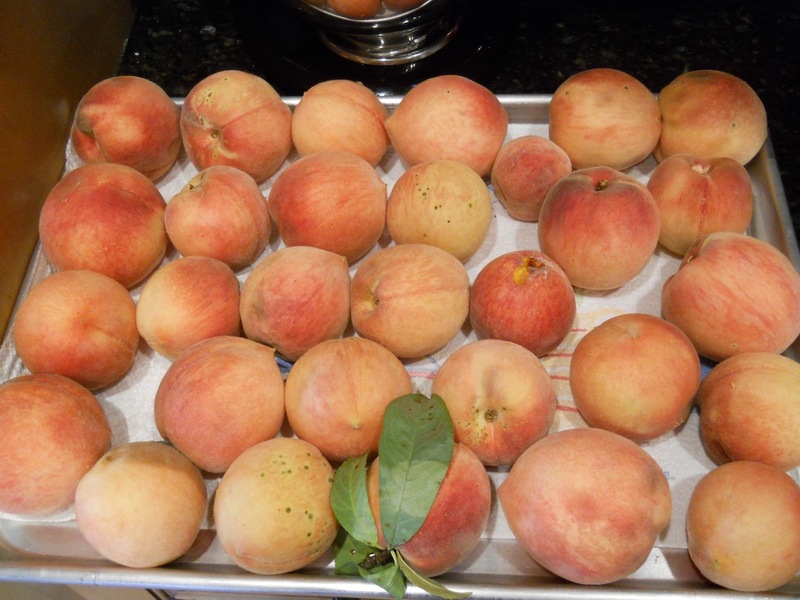 A week later, while visiting my mom in east Tennessee we picked peaches and blueberries at an orchard nearby and hit the jackpot with the peaches. The trees were overwhelmed with perfectly ripe peaches. We couldn’t stop picking. White ones. Yellow ones. Nectarines. Two large lattice baskets full, or technically a bushel. They were so sweet they tasted like they had been soaking in sugar all afternoon. They were pour-down-your-arm juicy. So, after the relentless asking from my son, mom made a peach pie…actually 2 pies…and a cobbler…oh my! She is good. Here is the recipe. if you can’t resist. YUM! That pie looks perfect!